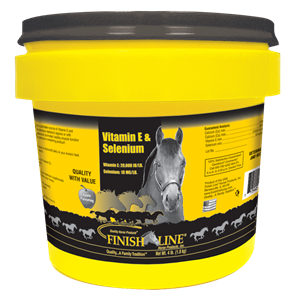 Finish Line®’s Vitamin E & Selenium contains 20,000 IU’s of Vitamin E per lb and 18 mg per lb of Selenium in a powder formulation with our unique apple flavor. 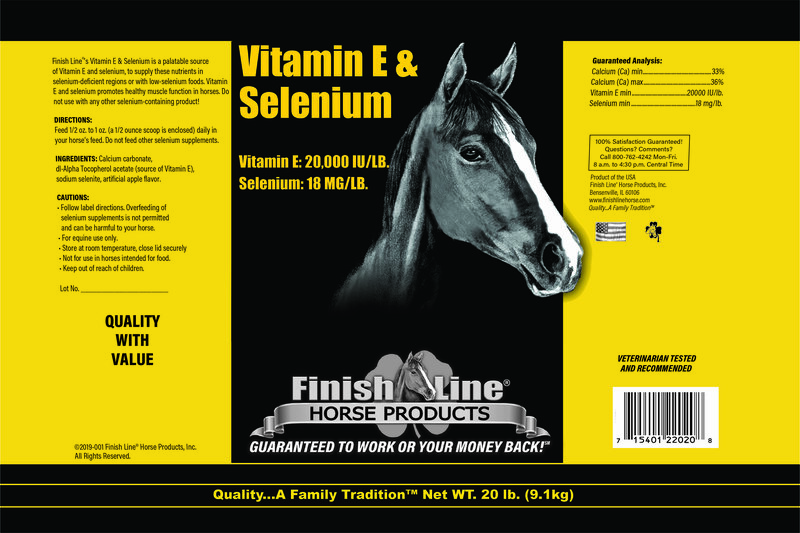 Vitamin E and Selenium promote healthy nerve and muscle function. The selenium in top soil varies greatly in the United States. Click here to check how your area ranks.